I am a Feld Family Ambassador and in exchange for my time and efforts in attending shows and reporting my opinion within this blog, as well as keeping you a devised of the latest discount offers, Feld Entertainment has provided me with complimentary tickets to Feld shows and opportunities to attend private Feld Pre-Show events. It seems like the entire world is Frozen obsessed, even over here at the Poag house. It's not surprising to hear one of the boys singing "Let it goooooo" or "The cold never bothered me anywayyyyy" at least once during the day. So, of course everyone wants to go see Disney On Ice: Frozen! Which is also why they've added another show time and I'm giving one of you guys a chance to go see it! 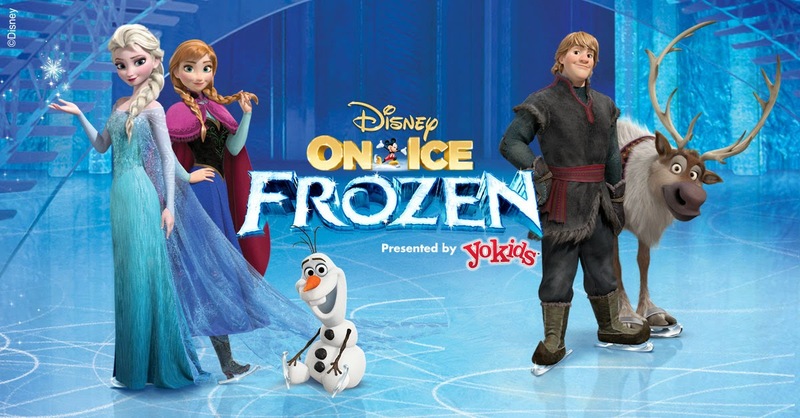 Frozen is coming to the Patriot Center! For ticket sales call 1-800-745-3000 or visit www.ticketmaster.com! Enter below to win 4 tickets for Monday, October 27th at 3:00pm.